Online College Planning offers a full-service program unlike any other college planning company. We’ll lead your student every step of the way, saving you time and money. Preparing for the SAT test is a difficult time for any family and student. For many, the scores achieved from this test share a close connection to your student’s goals and future aspirations. Sure, the SAT scores are important for college admissions, but finding the right resources to prep can be simple. Online College Planning’s SAT Bootcamp provides materials designed to build confidence and familiarize your student with the SAT test. Learn from the comfort of your own home and access live feedback from an experienced tutor. Taught by graduates of top (typically IVY) colleges, this course consists of 12 live 2-hour classes and includes access to our online test center. Further, parents receive email updates after each lesson, keeping you in the loop. Also, if your student needs a little refresher, they can watch recordings of previous lessons. Our self-guided course — consisting of over 50 video lessons — teaches your student the skills and strategies necessary to succeed on the SAT test. Moreover, Online College Planning’s lessons are taught by Yale graduates and add up to nearly 10 hours of instruction. The course consists of 400 practice problems — all accompanied by video explanations. So, although your student can follow the course material on their own, they’ll always have professional guidance as they build competency and confidence. Our online test center offers in-depth feedback which grades your student’s test and highlights specific skill areas for improvement. In total, the test center provides 5 video lessons and 111 practice problems — each with video explanations. 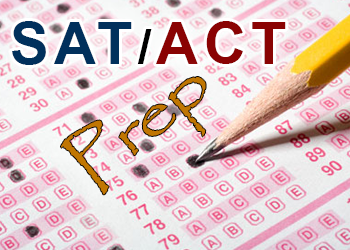 For more information about Online Planning’s SAT Test Prep and Self-Guided SAT Course, contact us today. At Online College Planning, our mission is to eliminate the obstacles that prevent students from receiving the best possible college education. Ever Wondered Why Teens’ College Savings May Not Affect Financial Aid? An Insider’s Guide to Developing an Effective College Selection and College Funding Plan. © 2018 Onlinecollegeplanning. All Rights Reserved.